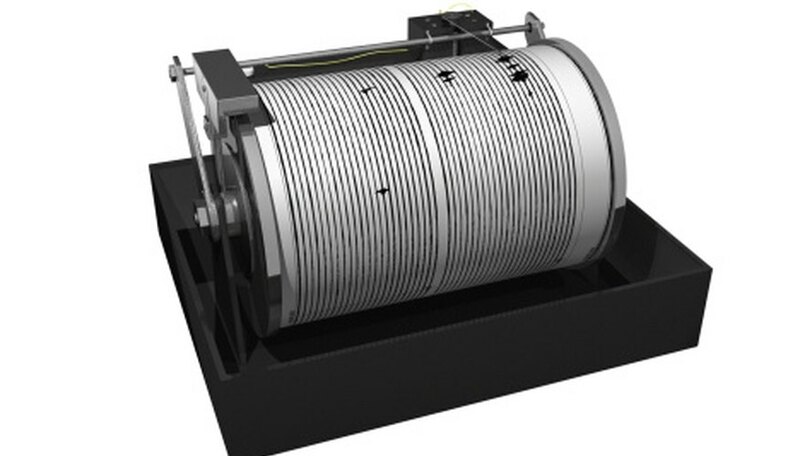 A seismograph detects earth tremors. Before computers were introduced to the process, scientists had to use a machine that used a needle to draw on a continuously moving sheet of paper. Whenever a tremor would occur, the pattern of the line would diverge from its typical straight line course. 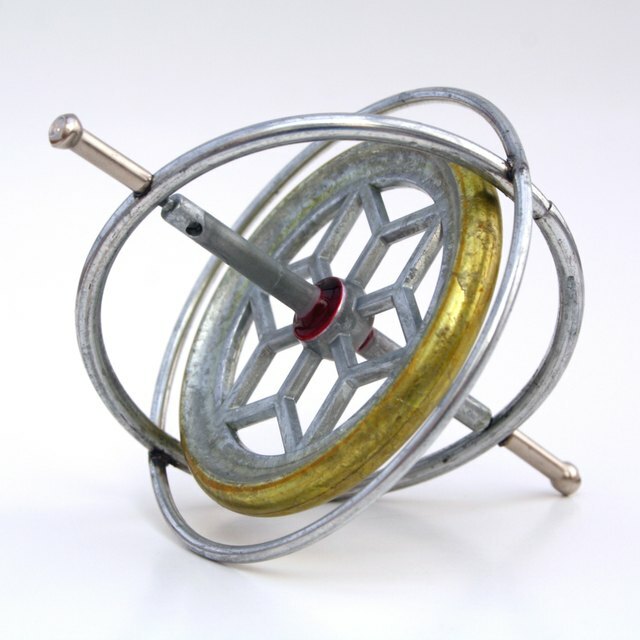 This machine can be easily recreated with a few household items. Locate an empty shoebox and remove the lid. Cut a slit slightly larger than the sheets of paper you will use in your seismograph along the long side of the shoebox. It is important that this cut is straight, so use some sort of straight edge as a guide. Make an identical cut along the opposite side. Place your strips of paper through the shoebox by inserting it through the outside slit one one side and pull it through the hole on the opposite side. The paper needs to be a continuous sheet, so consider using a roll of receipt paper or something similar. Wrap two rubber bands around the shoebox. One should be even with the front of the cuts you made and the other should be even with the back. Attach a charcoal pencil, marker, or similar writing utensil to the rubber bands by tying it vertically above the paper with a piece of string. The object needs to be able to write easily, so don't use a roller ball pen or anything that requires significant pressure. Pull the paper smoothly through the shoebox. If no seismic activity is occurring, then your line should remain straight. However, if movement exists, dips and waves will appear on the paper. Stein, Chad. "How to Build a Seismograph." Sciencing, https://sciencing.com/how-to-build-a-seismograph-12741006.html. Accessed 22 April 2019.